born in 2017 Honeysuckle, Honey for short is a cutie, a full face of fleece and an adorable nature, she almost didn’t make this world as she was a little bit tangled up at birth, her little face was a bit twisted but what a beauty she has become. Honey is wonderfully inquisitive and comes up close to check you out, looking through her fringe at you, she loves a carrot and a fuss. She is Lady Gaia’s care home friend, between them they make a great team for young and old. born in 2016 Gaia was a 5-month-old cria when she arrived at our farm, she was a pretty little thing, full of cuteness and attitude. When she was getting halter trained she was the worst of the bunch, spitting and being naughty but she has turned into one of the most loving and sensitive girls we have here. Gaia has been given the name of Lady Gaia because she is now a real Lady, she visits care homes and hospices and even attends weddings with her little friend Honeysuckle, Lady Gaia is our superstar with eyelashes to match! 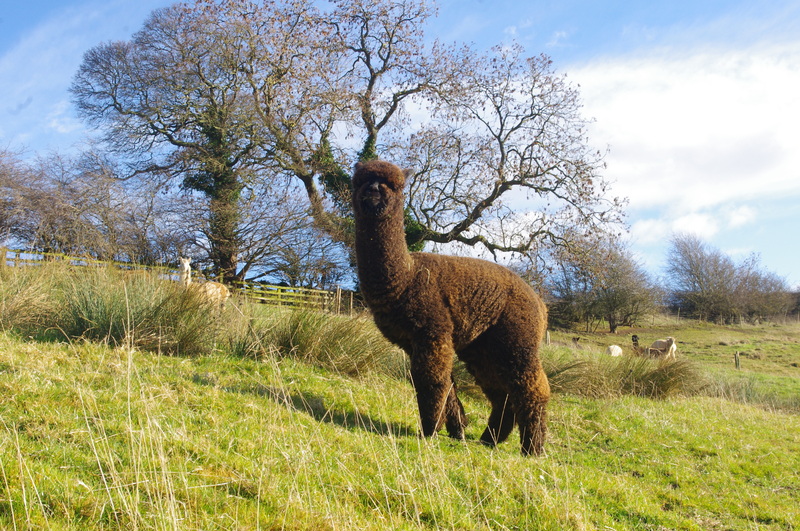 born in 2015 Franca B is a lovely natured girl who has been through the mill with her health, she has an amazing fleece, very dense and fine but she has suffered each year with her skin, we treat her almost all year round and have her skin tested to check for mites etc. 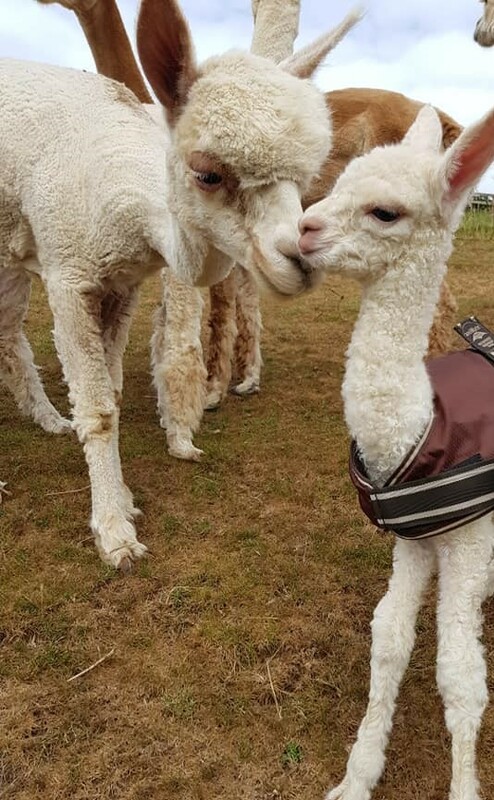 Franca B will never be a mum herself despite the potential to be a great mummy to a little cria, as she may pass her susceptibility onto her baby. 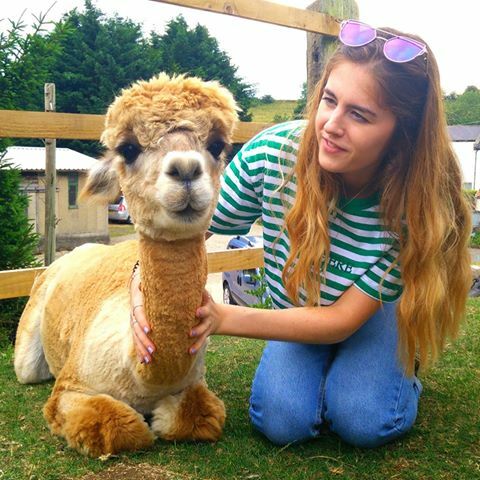 Franca B lives happily with her herd and loves to meet people who feed her carrots, she is very much loved by her alpaca friends and by us too. born in 2018 Inca Illusion with his extravagant name is a little fellow to be watched. Full of mischief and trouble, he has a wonderful confidence matched with his parents’ success in the show ring. Inca’s mum Carlshead Florence is our very own Champion Brown Female and his dad is Fowberry Golden Age, a Champion stud sire. With these genetics, there’s no wonder little Inca Illusion has an air of superiority about him. He has a little friend who he plays with called Invincible Iggy, and they have so much fun chasing each other and play fighting. born 2014 For those who are llama mad as well as alpaca mad, we have Rameses! He is one of our new llamas, he has Argentinian genetics and despite being such a big strong boy, his nature is kind and gentle and he is a real favorite with our visitors. Llamas have a reputation of being a little bit spitty but Rameses and his llama mate Loko are very well mannered. Both llamas are confident and clever which makes them quite easy to manage as they love a bit of carrot bribery. 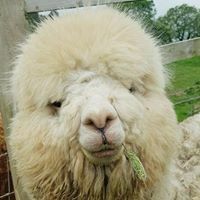 If you love alpacas but don’t have the land or time to keep your own, or know someone who is alpaca mad, why not sponsor one of our alpacas with our Bronze, Silver or Gold Sponsorship packs, it’s a unique and ideal way to share the alpaca love. What’s in the Gold Sponsorship pack? 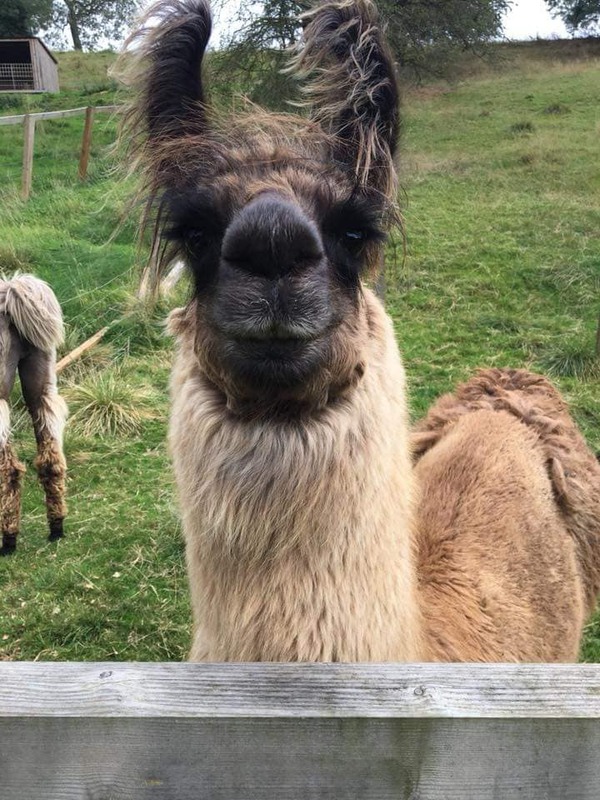 An invitation for you and a friend to meet your chosen alpaca and their friends, take an alpaca for a walk along the river and 25% off any additional visits for 2 people during that year. Each Gold pack costs £45.99 including P&P. Your visit will need to be pre-booked during the year of your sponsorship and is subject to availability. What’s in the Silver Sponsorship pack? Each silver pack costs £35.99 including P&P. What’s in the Bronze Sponsorship pack? 25% discount code to upgrade to include a Meet & Greet experience or a walk experience. Each bronze pack costs £19.99 including P&P.